I was nervous to try microblading for the first time, but Brandi made me feel so comfortable and she is very talented at what she does! I love that she took the extra time with me to make sure that I had exactly what I wanted, and she makes sure to match the eyebrows with the way your face naturally arches so that they turn out looking natural and amazing! I’m soooo happy that I drove the extra distance to see Brandi, she did a phenomenal job! Let me begin by saying my experience with Brandi was beyond! I'm blonde and had no brows to speak of. I would spend anywhere from ten to twenty-five minutes drawing and filling in my brows daily. I did due diligence in finding Brandi. I literally stalked this website and read every single review and looked at her entire gallery. All her clients raved about her. I finally booked the appointment and she does not dissapoint. She is knowledgeable, Informative, professional and just a really sweet person. I followed her post care directions and the results were flawless. I highly recommend Brandi, so if you are hesitant about having your brows done, Brandi is your brow professional. Last year, I heard about this hot new trend which is microblading. Then, I came across Brandi Instagram page and I followed her for a whole year. I was literally hooked after seeing her before's and after's. It was comforting to know there were other women out there like myself. However, I was very hesitant to come in any sooner because of course this my face we are talking about lol. I finally found the courage to come for my appointment...a year later. When you first walk in her space is gorgeous from the beautiful entrance way where you fill out your paperwork till the actual procedure room. She was very welcoming and assured me that I was in good hands. Brandi took the time to explain the procedure as well as, listening to what I wanted as a customer. The bold boxes scared the crap out of me, since they look a lot bigger than what your actual eyebrows are going to look like. She immediately assured me that it is part of the process but that will not be the outcome. I described to her how I wanted my eyebrows to look but she literally surpassed my exceptions. I am in love with my new eyebrows and I am client for life! Honestly, you cannot go wrong with Brandi, you are in very good hands. She is phenomenal about what she does and you can see her passion and attention to detail in her work. When you read a review for microblading, you always hear people say their eyebrows were horrible. Well, my eyebrows were HORRIBLE! Over-tweezing made mine patchy, thin and unable to grow like a normal person's eyebrows do. So microblading seemed to be perfect for me. The office is beautiful, the people are wonderful and Brandi knows exactly what she's doing to make your face complete. I recommend her to everyone who compliments my eyebrows. I’ve been getting my eyebrows microbladed by Brandi for two years now and I am always 100% satisfied after every session. I am quite difficult to work with but Brandi doesn’t seemed to be bothered by how picky I am. Instead, she works with me to ensure that I get the brows that I want and I appreciate that about her. During my initial appointment, I was hesitant because I have extremely oily skin but two years later... I still have the most perfect brows. Brandi is always shocked whenever I come in for a touch up (which I don’t need very often) because of how well my skin holds the color. I’m obsessed with her work and will always be a loyal client! Thank you so much for these life changing brows! I am from Como, Mississippi, and I drove 14 hours to take Brandi’s Microblading training course, and let me tell you, I would do it all over!! The class was absolutely amazing!! Brandi is a force to be reckoned with creatively and as a businesswoman. To be able to be trained by her personally was a privilege. She was so down to earth and gave excellent instruction in the art of microblading, and she also shared her expertise and extremely valuable advice regarding getting your personal business started. I cannot say how much I enjoyed this class, nor how amazing it was!! I got a bit discouraged during the class, but Brandi was so reassuring, and by the time I got ready to work on my model, she assured me that I was doing great and should finish my model, so I would know I did it all myself. What a sense of accomplishment!! She gave me the courage and self-confidence to complete my client from start to finish. I am so excited to start my new career with Brandi’s further help and support, since I signed up for the continuing education option with her at the end of the class. If you’ve ever thought about pursuing a career in this field, there is NO OTHER PLACE TO GO FOR TRAINING! I love you Brandi and thank you so much for the class!! Let’s start with how incredibly nervous/scared I was to get my brows done... when I met Brandi she instantly felt my anxiety and explained everything and helped me to feel more comfortable with the process. I will say I was still a little freaked out! I was scared that it would hurt... But I could not have felt more comfortable once she started! It did not hurt at all! And my brows... they look so amazing!!!! I’m obsessed!! Brandi, thank you so so much for the whole experience!! Just had the training at lavish eyebrow and was very surprised that at the end of only one day training i could learn so much and feel confident to start a new career. It covers everything you need to start and Brandy goes exactly on the points you really need. Great training. Recommend it totally . This was a great experience, my friend told me about it and I was so tired of filling in my eyebrows all the time and wanted something easier. My daughter who's 15 and I'm love with makeup got me to go through with it and I was nervous. But knowing it was only semi-permanent made me worry less. It was the best experience I've ever had as soon as I was done I was so surprised seeing as to how my brows looked before and after, it was definitely life changing and I'll be back for sure. Brandi is such an amazing person and she really is great at her job and very professional and is all about making sure your happy. Don't listen to any of the negative reviews because there not true at all because Brandi definitely knows what she's doing and my brows look amazing and I'm definitely happy with the results. Being a single mom and working full time, I simply did not have the freedom to take a day off of work or the time to spend an entire day in hands-on training. I desperately wanted to train with Lavish and learn from Brandi, so I made the decision to take her online course. I wasn't sure what to expect, as I have never taken an online course for anything before. I was so impressed with the content in the course and how easy it was for me to learn from the comfort of my own home. I loved the set-up of the modules, had constant communication with Brandi and the Lavish team, and felt very confident when the time came to work on my model(sister). I completed the course within 5 weeks, and did a little bit every day. It was nice to do it at my own pace, while still managing my busy life. The best decision I ever made was to learn the art of microblading from Brandi. Thank you!!! Ok seriously, best day of my life!!!! I waited 4 months to go to training at Lavish, after doing a lot of research on other instructors in the area, I loved Brandi's work and knew I had to come to her. Best decision ever. I came into class hesitant, as I haven't done anything near microblading before. I learned MORE than expected, and felt so confident and ready to start my new career! The day started off with microblading knowledge, and I was surprised to find I didn't know nearly as much as I thought I did after my internet searches. We then began practicing our strokes, on paper and fake skins! We learned how to perfect map an eyebrow to fit different face shapes and practiced that....ALOT! We worked on live models with Brandi right by our side, who walked us through every step! My model loved her brows and I left so excited to keep practicing and start my new career!! Thank you SO MUCH for an amazing day filled with laughter and knowledge!!!!!!! Absolutely AMAZING experience at Lavish! I arrived for my appointment and felt quite nervous, not knowing what to expect. I was greeted by the Lavish Team and felt comfortable instantly! They were so sweet and so welcoming. Brandi knew exactly what my brows needed, both in shape and color! The process was much quicker than I anticipated, and didn't hurt nearly as bad as expected! Its been 3 weeks since I've had my brows done and they look PERFECT!!! I will be going back for a mini touch up in 3 weeks and can't wait to spend more time at Lavish! Thank you Brandi!!!!!! I am in love with my brows! Yesterday was my microblading touch up and it was simply incredible. Brandi is very talented in her art. I would highly recommend Lavish Beauty. Thank you Girl, you do an amazing job!!!! This Microblading Experience was excellent! When I arrived Brandi went straight to work on creating my brows. She asked if she could shape them in a way she thought would best suit my face and told me if I didn't like it then we would work together until I did. Well, she's the brow expert for a reason.... She shaped them perfectly! Brandi made sure I was happy with the outcome and gave me detailed instructions on the aftercare. Sydney sat in and kept me laughing, which made the process fly by. Brandi has true artistic qualities and genuinely cares about making her clients happy. I would recommend their services 100%. I waited 3 months to write this review.... I had a hard time with the healing process and wanted this to be accurate. About a week after I had my procedure one side had faded due to scabbing which I read on Lavish's website and the paperwork the day of was possible but I was hoping for perfect healing, well that wasn't me... BUT I did not want to be one of those girls who act like they didn't know it could happen so I patiently waited for my touch up session ( which thankfully I booked at the same time as my initial session! as per the website instructions) and now they are perfect!! they healed exactly as I wanted and I could not be happier! I can tell you it is the best money I have ever spent! Thank you Lavish!!!!!!! I waited over 6 months for my session with Lavish Beauty and I am in LOVE. I did my research before I finally booked and chose lavish and now I see why I waited so long. Brandi and her staff are amazing. Such a gorgeous location too! It wasn't as painful as I thought it would be and the shape is beyond perfect. Thanks Lavish! Today was my 3 month touch up and it was so good to see Brandi again, like a dear friend and also got to meet her amazing assistant, Brittany. I do have oily skin maybe not as bad as some but I do have it however I only had minor fading which is normal for my skin type. For this reason its important to book your touch up when you book your initial appointment!!! I loved my brows from day one, I get compliments all the time. I look younger with a more pronounced arch, have more confidence and LOVE Lavish Beauty!! Brandi listens to what you want...I wanted to go darker after seeing how my skin held the color... Brandi nailed it perfectly!! I am cruising at 32,000 feet bringing my perfect brows back to Jersey, there is NO ONE Better!! I recently attended Brandi's course to become certified in microblading. She was amazing! I can't believe how much useful information she communicated to us in just 1 day! I asked many questions, and she answered every one of them. Throughout the hands-on session, Brandi helped us understand that the experience is different for all clients and that practicing your technique to perfection is vital to get the best results. I've been in the salon business 30 years, and this was the best course I've ever taken! I'm in total love with my eyebrows. Brandi did a great job and my skin hold the color pretty good even though I have oily skin. I got them done in May and we are mid October and I'm still loving them. Thank you Brandi! Okay first off... LAVISH BEAUTY is amazing!!! Brandi is a great teacher, she's very educated and knows her stuff. Plus, she does some killer brows! I had a wonderful Training session with Brandi Yesterday she is a true master at what she does and is very professional. Every time ive had a question before class she has responded very quickly and encourages future communication and photos of our work to help us on our path. I really appreciate that hands on approach Great experience! I came all the way from WILMINGTON DELAWARE for brandis certification. When you are learning about a service that stays in someones skin for a year, you want the best teacher around. And Brandi is the best Thank you for such an amazing class. I feel and confident to take this new service back to my spa 1000 miles away!!! Dont hesitate for a second about booking your certification or your microblading with BRANDI. THE BEST! OMG i cant even explain how amazing this whole experience has been not only is Brandi super professional shes also the sweetest person she made me feel so relaxed in such a nervous situation i mean it is your face after all after the session and healing was over(2 weeks) i was left with the most natural looking gorgeous brows! so awesome to wake up Thanks Brandi! So after a week, i can say i am in love with my brows From the moment i walked into see Brandi she was warm, welcoming and i just knew i was in good hands. Her work is amazing! if you dont believe it, Do stalk on her fb and Ig Thank Girl! Im so happy that i had my brows done! i was extremely nervous at first as ive had permanent makeup in the past before that turned out so unnatural looking! Brandi is a sweetheart and did a fabulous natural looking brow. I didn't have much brow hair, but now i have thick brows ive always wanted. Lavish is super cute clean! but most importantly my brows are awesome! its so nice to wake up and feel like i dont HAVE to put makeup on. Its a quick process and doesn't hurt! Brandi uses Great numbing cream. Highly Recommend! I was just certified by Brandi at Lavish and couldn't be happier with my experience. I came all the way form Tallahassee because ive done my research and Brandi work is the best she helps you with every aspect of the art of microblading and i learned so much! im so excited for my new career in brow beautification. Simply amazing! i love everything about my eyebrows! this woman right here knows exactly what she is doing and by far one of the kindest people! Brandi is amazing and her work is incredible! no wonder she is booked months out! definitely recommend seeing Brandi for all your eyebrow needs! She was one of the best teacher for my training class that i saw she take her time to teach you every single part thank you everything that you taught me brandi! I was really nervous before my appointment but brandi immediately calm my nerves and reassured me that i will love my brows and 4 days later she was right! the micro blading and her attention to the detail is what makes her the best at what she does! Brandi is awesome so sweet and professional i was a little nervous but she made me feel so comfortable i highly recommend seeing her asap if you want in the brow game (:. Brandi talent is like putting heaven on your face. She made me feel confident and comfortable during my whole microblading session. My Eyebrows are so beyond perfect that im going to try to get my mum in on this. Its not easy trusting someone with your face but this is now my new obsession thank you so much! I was seriously so scared for today and im so happy with the outcome Brandi made me feel so comfortable we laughed together and talked through every single step and how could i not trust her when she is gorgeous herself! it was so worth it, you almost cant put it into words love love! I love the work Brandi did on my brows! i finally have natural looking perfectly shaped brows. Absolutely worth the money! Awesome job Brandi Process was painless and Brandi explained everything step by step Highly recommend Brandi to anyone who needs help with their brows. I love not having to draw my brows on anymore in the morning and hope they are even (: if you are on the fence, jump off and schedule your apt with Brandi, you will not regret it. Its so worth it. Thanks Brandi for another awesome Brow Transformation. As i got older i noticed my brows were thinning Brandi gave me back my brows! painless and easy microblading great experience would definitely recommend Brandi to anyone looking to do this Brandi is a master at creating beautiful natural looking brows thank you so much! In about an hour Brandi changed my life, my brows look amazing the artistry is absolutely incredible. The best part the real game changer is all the time i will get back no more time wasted drawing on somewhat acceptable eyebrows everyday i cant possibly give a positive enough review of the experience and the results thank you! BRANDI BRANDI BRANDI i tried very hard not to text you a crazy text for 3 days! thank GOD i was so busy i didnt have a chance to really think about it BUT THIS MORNING i looked and they are ABSOLUTELY BEAUTIFUL! You are truly gifted and i pray to GOD continues to bless you with this gift THANK YOU! Love love love my eyebrows BRANDI IS AMAZING! I've been watching Brandi reviews and work for months hesitant to try Microblading. I finally made my appt. had my brows done today. They look stunning Thank you Brandi. Brandi is awesome so happy with her work.. . she really cares about making you look and feel your best and you can tell she loves what she does for people! dont wait she books up fast. Brandi was amazing! ive lived my entire adult life without eyebrows and what an amazing transformation this is. They look so real and are perfectly shaped. I couldn't be happier. I got my eyebrows done with Brandi and i love them. She is very talented a true artist. Brandi is the best at her art. I've hated my eyebrows for so long i went to her this morning and i feel like a new person thank you so much! Love my brows Brandi is awesome i was nervous and Brandi was so warm and friendly and answered all my questions. Seriously you will wonder why you waited so long to do this! its amazing. Brandy is an artist. So talented at micro blading. the first few days eyebrows look very dark and much thicker than they actually end up being. By the end of the 3-4 days i was thrilled! so happy to have my eyebrows back. She made them look so natural and just the way i remember them to be when i was younger i would highly recommend Brandi thank you so much! Absolutely Love my brows definitely exceeded my expectations i literally had no eyebrows and Brandi created a natural look for me. Worth every penny! Brandi is amazing! i went from no brows to Wow brows! Brandi is so professional, her surroundings are comfortable relaxing and spotless! cant say enough good things i love my new brows! She is truly amazing after seeing all of her work i had to immediately book an apt with her. She got into contact with me right away, anwsered any questions. I had and penciled me in. She gets booked about a month out so make sure you consider that when booking your appointment i counted down the days! when i could finally see her, she was so patient, precise and wonderful My eyebrows turned out wonderful and i am excited to see them once they heal. She is so nice and easy to be around i definitely recommend her! Brandi is a perfectionist! I was nervous at first but Brandi made me feel very comfortable and walked me through every step. I love my brows and highly recommended her if you are looking for someone who knows what they are doing. Wow that was worth it, I too was concerned about the discomfort, but once the numbing cream was applied it was virtually nothing i came in with patches missing, no shape and uneven brows and left with amazing arches and shape. Thank you Brandi, your perfectionism is much appreciated! Are you kidding me Brandi snyder you are so amazing why have i not done this earlier i am so so happy with my brows i need more of your business cards because everyone is asking for your info. Thankyou! Yesterday was a first my hubby noticed i did osmthing different and commented on it. He liked your style Brandi Snyder and approved of the microblading! lol i looked at myself 20 times in the mirror and it doesnt ceased to impressed me.. cant wait for my touch up! Ive spent a lot of time reviewing microblading ive been turned down because i was too pale. Then i found Lavish Beauty! Im so glad i was patient since shes extremely busy and booked out for months. She did an amazing job and i cried when i saw myself. If you are considering doing this please choose Lavish Beauty, you will not be disappointed. Thank you so much for allowing my to confidently wear my pixie haircut! Brandi was great, very professional and made you feel extremely relaxed and comfortable. She went through everything before and after to make sure you had a complete understanding. Very sweet, and passionate about her work' a true artist! I drove over two hours to see her and highly recommend her, cant wait for my touch ups! thanks again for my beautiful brows! After having researched in various places about microblading and seeing the excellent work of Brandi, i understood that if i wanted to recover my investment of money i would have to take it with the Best. Brandi is a wonderful human being and very patient with her students Thanks Brandi for giving me the confidence and support that you gave me at the time i thought that i couldn't do it you can not imagine what it meant for me to have met you your a angel. Brandi did my eyebrows on January 7, 2016, i have went back two times for a touch up and both times sent home because they still look like she just did them! i do nothing different to make them look this good! i owe it all to Brandi! I took the training course with Brandi and it was an awesome experience they treated me with the utmost professionalism and i really felt as if she cared. She didn't hold and punches and she didn't hold back when it came to providing information and offering tricks to the trade She is open to being my mentor down to earth honest and she is very easy to talk to i am blessed to have found her i am confident that with her guidance i WILL be successful. Highly recommend booking with Lavish Beauty for microblading training! Shes incredible i took a course prior to training with her, Brandi course set me apart and allowed me to produce incredible brows! take her course shes an amazing person and will give you all the tools you need! So i waited until my whole eyebrow journey was over to leave an accurate review. And honestly i have nothing but great things to say when i met Brandi at the initial blading session she was extremely friendly and professional. She showed me my own personal disposable blade which was great for sanitation purposes! the actual blading lasted around 45 mins and the healing time was around 4 days for me. When they finally healed, i loved them! 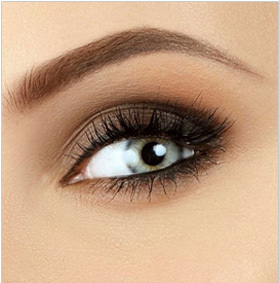 seriously nothing can compare to the luxury of slipping out of bed having perfect brows! i went back 4 weeks later for my touch up session and to be honest, i didn't even think i needed any touching up the brows were still perfect. I loved my experience so much that my sister is actually going to be taking the microblading course from Brandi herself! Brandi was an amazing teacher patient, incredibly supportive and very knowledgeable. I really enjoyed the small class size and the amount of time we were able to practice and ask questions! Brandi also offer support after the class so you have an ongoing mentor. I would definitely recommend this class. Top-notch educators in the beauty industry can be tricky to find but Brandi nailed it. Got my eyebrows done today and I've been waitinf since July for my apointment, which was in December. Brandi messaged me herself and told me about this appointment and I jumped on the opportunity. Its almost like I waited 27 years to finally have good brows and they are more than good.. they are PERFECT! So worth the wait. Im in love and I have a new fund confidence in myself. I cant wait to see them healed. Ok..... I wanted to wait to write my review until i felt like I could explain my experience fully. It has been 6 days since my brows were done. The first night when I came home I had an anxiety attack because they looked so dark to me, I was so scared! The next morning when I woke they were even darker! I freaked out. It is now the 6th day and I 100% love my brows. They have lightened up so much they look so natural and I have received so many compliments on my new brows. I literally can't stop looking at them in the mirror. Brandi is an amazing artist and she knows what she's doing. Thank you so much Brandi! Honestly, i've never written any type of review ( good or bad) and considering my business thrives on referrals I actually felt the need to write this review on Brandi and Lavish because of the fantastic experience. So today I went to acquire my Microblading certification at Lavish. From the beginning, Brandi greeted me with a super friendly upbeat vibe and this continued throughout the course of the day. The training was extremely thorough and Brandi answered ALL questions I was searching for and then some. She is extremely professional and down-to-earth, fun, completely honest and charming all at the same time. Unfortunately the day flew by, but not without me feeling fully confident on Microblading my model and gaining the much needed knowledge to feel confident and comfortable with giving my future clients the best possible experience... I was so nervous to begin this training and now knowing Brandi is available to her trainees post training, lays my mind at ease. Brandi is an absolute perfectionist and being of the same nature, I could od not asked for a better educator and mentor. I would highly recommend Brandi @Lavish of anyone wishing to gain the best knowledge and hands on experience for their business or new venture within this industry. I have struggled with shaping my eye brows my entire life. When I first heard about micro blading I admit that I was very skeptical - as we've all seen bad fake tattoos of eye brows! I decided to give it a chance after seeing and hearing amazing reviews about Brandi and her work. She was so sweet and made you feel comfortable and walked you through every step. I LOVE my brows and will be going back to Brandi to always have my perfect brows. So excited for my touch up!! By now, you all know how HIGH IN DEMAND Brandy is... because she's AMAZING! She was able to get me in on a cancellation and did my gorgeous touchup!! 5 star service, and skill!! I'll be a lifetime client!! Brandy was an amazing teacher- patient, incredibly supportive and very knowledgeable. I really enjoyed the small class size and the amount of time we were able to practice and ask questions! Brandy also offers support after the class so you have an ongoing mentor. I would definitely recommend this class. Top-notch educators in the beauty industry can be tricky to find, but Brandy nailed it. I just had my first session with Brandi this week and it completely exceeded my expectations. I was nervous coming into the appointment but Brandi made me feel comfortable with her attitude and confidence. I needed a ton of corrective work on my brows and she created a beautiful look for my face. I drove 3 hours from south Florida for my appointment and I was afraid I would get in an accident on the way home because I couldn't stop staring at myself in the rearview. Totally recommend!! I just want to say i've done business with Brandi Snyder for quite some time now and I must say her work speaks for itself. When I decided to do my eyebrows, she told me that oily skin doesn't hold up well with the Microblading, but I must say I love my eyebrows they are holding up well. I am closely approaching my touch up and they still look great. Brandi is professional, she is an absolutely amazing eyebrow artist. So to all of you oily skin people I would definitely recommend Brandi. The experience has been amazing so far. By nature I overthink things and stress out so I freaked out a bit in the beginning because my eyebrows did look significantly darker and a bit shiny for the first 5 days. My scabbing was minimal but I did peel a little bit. After a week the pigment looked so natural and perfectly matched my complexion and hair color. She truly corrected my eyebrows and enhanced my natural beauty. The microblading looks extremely natural and I love the way I look with out make up. I have scheduled the 60 day touch up because it is a phenomal deal, I also scheduled the 3-12 month touch as well because going back to my old eyebrows is no longer an option. I love my new brows! I will admit I was very nervous and almost cancelled my appointment. I thought it was going to be too painful and not worth it! I am so glad I didn't because it was not painful at all and the whole experience was great! I highly recommend Brandi - she is amazing and her work is flawless! I first went to Brandi last year for microblading and just visited her today for my yearly touch-up. Through only one year, her business grew and expanded to exponential levels. She was literally booked until July 2017!!! It is September 2016! I am very lucky to be squeezed into her booked up schedule. I was once reminded of her talent and precise hands. She touched up my slightly faded brows and now their shape is now as beautiful as ever. Honestly, I would have just waited until July if she couldn't squeeze me in. She's just that worth it! About 1 year ago I went to Lavish Beauty on a recommendation and met Brandi. I was hesitant and nervous. I didn't know what to expect of the process. Brandi set me at ease and a very relax salon helped as well. Within an hour - I was done. I HAD BROWS. I made the 8 hour round trip drive from Ft. Lauderdale to see Brandi for my brows because she is the best! I never had my brows done professionally before because I never felt like I could trust anyone. But after seeing Brandi's results online, I knew I had to see her. The result exceeded my expectation! The new shape of my brows is absolutely GORGEOUS and perfectly symmetrical!! Let me start by saying I'm extremely strict when it comes to my eyebrows and I haven't found anyone I'd trust with my eyebrows until I came across Lavish Beauty. Brandi's office is incredibly beautiful and the consultation made me feel confident about getting my eyebrows done. I am extremely picky and have OCD but Brandi really worked with my in order to get the exact shape that I want. I was amazed when I saw the finish product and will never go anywhere else to get my eyebrows done. TRUST ME Brandi's work is worth the wait. Brandi is talented and knows what she is doing. just wanted to write this review to let everyone know that the job that was done on my eyebrows was an amazing one! Brandi is such a nice girl and answered all of my questions i had i would 100% recommend her to anyone that wants to get their brows done ! Alright this is super easy... Are you ready?Brandi is incredible and beyond gifted in the art of perfecting the most beautiful brows, along with the wonder woman advice for a successful business not only is she talented she is down to earth knowledgeable beyond your expectations kind/sweet, But BLUNT (in a great way) and REAL! you know the kind of gal you just want to hug and high five fantastic experience for me personally for so many reasons Dont take my word for it, if you need want her expertise by all means dont delay and call today! Omg I can't even explain ow amazing this whole experience has been not only is Brandi super professional she's also the sweetest person. She made me feel so relaxed in such a nervous situation( I mean it is your face after all.) After the session and Ealing was over (2 weeks) I was left with the most natural looking, gorgeous brows! So awesome to wake up with perfect brows everyday! I was very pleased with Lavish and the ultimate result I received from Brandi. My eyebrows are even and have been keeping very well. The pigment has also held up with the car ie given it. Thank you Brandi and thank you Lavish! Worth the wait! couldn't be happier brows started off looking a tad intense, as expected and turned out uber-fabulous in the blink of an eye. Expericence was slightly painful for me but its over quickly and worth the reward Brows healed perfectly. I had no real trouble at all, no peeling or complications very nicely shaped and appropriately colored. Color faded just a tiny bit, as described, in first fed days and then held very consistent during first 90 days, when i went in for my touch up. I love the look of my face now as it seems like i had a mini facelift or something i wear my hair up all the time now flattering, but i always sort of hid behind my really long hair previously because i didn't feel like my face had a balanced look. a friend and i scheduled our appt within a few days of each other and then waited not so patiently for several months. Having some one else go thru it at the same time was really helpful because even though brandi tells you exactly what to expect, its kind of intense to have someone tattoo your face, even when you know what you are getting into am particularly pleased with the color and she after 3 months since i sort of expected them to fade because i live in florida and i am in the sun every singe day and i don't wear sunscreen everyday or big giant hats there has been no fading. I have average-to-dry-skin, Mid 40s. Book your appointment now! She is worth the wait. I can't express enough how thankful i am to have found Brandi with Lavish Beauty!! Not only is her work amazing but her thoroughness of explaining the process was spot on she was very professional and her establishment was gorgeous. I not only have the best brows not but also had the pleasure of being trained by the best in the business! the class was very informative and i left feeling knowledgeable with all the tools i needed be successful. No wonder she is booked over a year in advance (:!! thanks Brandi for giving me gorgeous brows and the opportunity to train with the best! Brandi did such an amazing job with my eyebrows! they are perfect and i wouldn't change a thing. She was very good about going over the process with me and gives detailed instructions for taking care of them after you get them done. Brandi made sure i was conformable and pleased with the way they turned out. Overall, she did a very amazing job and I'm in love with the results! I can not describe how much i love my brows and I've only had them done for a few short hours. The studio is absolutely gorgeous. Very clean. I was really nervous i drove almost 2 hours and my stomach hurt the whole time. I was starting to doubt my decision and then when i met Brandi all of that doubt went away. I felt like i was hanging out with a friend. Brandi is very informative and lets you know all the possible outcomes whether it be good or bad. I really appreciate that honesty when I'm making such a big decision. I felt really at ease the entire time and instantly trusted her. Brandi is receptive to your concerns and makes sure you feel completely confident with your decision. My brows were almost non existent, very pencil thin and I've been filling them in for more than 10 years. For me personally, the process of microblading did not hurt. She allows you to have a mirror the whole time for those who have trust issues (: overall my experience was amazing. It was worth the drive and every penny. I'm really happy with the results and ill be a life long client. Thank you so much Brandi! I absolutely love Brandi. She is very informative about what she is putting on your skin, the process, and the aftercare. Coming into this she knew i had oliy skin and warned me that the color may not take or even fade quickly, but i still decide to go thru with it. Its been almost 2 months now and i can happily say my brows still look amazing! So ladies if you have oily skin like me don't worry all will be well. Just do it you won't be disappointed! I have been searching and researching microblading for past year and finally found Brandi and saw picture and videos of her amazing work. You can tell she loves what she does and even more she is the Best at what she does. Brandi i beyond detailed when it comes to explaining the entire process from the beginning to after care and to what to expect days after the procedure I can't stress how amazing she is and recommend her to anyone even considering thinking bout having microblading done. Trust me, it's a game changer!!! Book with her now!!! As a nurse practitioner in the cosmetic industry I am very picky about who I go to for cosmetic treatments. I followed multiple places that do Microblading in the Central Florida area and Brandi's work spoke for itself. I waited two months for my appointment and it was worth the wait! Lavish Beauty and Brows location, decor and atmosphere was beautiful. Brandi was so friendly, professional and knowledgeable. The treatment itself was super quick and the end result was so stunning! I was missing a whole section of my eyebrows and she corrected and shaped it PERFECTLY! When i went back to work the next day my coworkers and clients could not believe how perfect my brows looked. One girl said " I cannot stop staring at your brows, they are so perfect." If you have been thinking about Microblading, do it! But only trust your face to Brandi, it's worth the wait! Let me begin by saying I LOVE MY EYEBROWS!!! Brandi did such a wonderful job on them. I had my eyebrows tattooed a few years ago and they were faded, uneven and the color changed to a reddish brown but Brandi fixed them up so nicely that you can’t even tell I had them tattooed before. I love waking up and not having to worry about drawing my eyebrows and doing my makeup. It looks so natural… THANK YOU SO MUCH BRANDI!! Thank you Brandi.. I love my new brow, I love to go to the pool and the beach and not worry about my brows getting a erased .. She is a great artist she is great at what she does .. I'm sitting in the airport about to head home.....Yes I flew from New Jersey to have Brandi do my microblading. I followed Brandi/Lavish Beauty for over a year when I made the appointment. I had researched countless places and never saw the results that Brandi is able to do. You have to know that this is an art and Brandi is the artist that can give you amazing results. She has the natural born ability to look at your face, your eyes, your brow structure and give you brows you have always wanted. The studio itself is beautiful, clean, inviting with amazing natural light. She welcomed me, went over in detail the whole procedure, aftercare and maintenance. I'm sure there are places that do an okay brow and maybe cheaper but you just get okay brows at best....look ladies Brandi is the best, it's worth the wait which let's face it, is the hardest part. Was it worth it flying from New Jersey to Florida? Hell Yes!!! Will I do it again? Already am...I booked my follow up when I booked my initial appointment. You don't book up 11 months ahead unless you are amazing and Brandi is the best!!! I love my brows!!! Thank You Lavish Beauty!!! I'm a client for life!!!! I'm trying to decide where to start?! I got my first micro blade done in September of 2015 & ever since then, I SWEAR by it. Not having to worry about your brows every morning when you're getting ready?! TAKE MY MONEY! Best money you'll ever spend! And Brandi is fabulous at what she does! The whole entire process is smooth and minimal pain. I just got my touch up after nearly a year & they weren't even that faded. I already booked my spot for next year to ensure I get in. I'll forever be a devoted microblading customer ! & I will always recommend Lavish Brows! Thanks Brandi, xo! Guess what... I did my eyebrows today and i can not express my happiness. It was worth waiting for. Brandy is a pro in what she does it. I am happy with color choices and most important with the shape of my eyebrows. Now i dont have to spend 20 mins every morning just to make sure they are even. Definitely recommend doing it. So I have waited a little over a week to write my review ( about the time it has taken mine to almost heal) and I am very impressed with my brows. I loved how confident Brandi was while getting them done but I was in shock at first in the difference it made in my appearance. It was very bold at first but true to her word as they heal they look ahhhmazing. Ladies please schedule your touch up appointment when you make your initial appointment as I did not. I could use a minor touch up ( to be expected especially your first visit). This is the only thing I regret not doing. I have had a lot of compliments on my eyebrows even during the bold days. Thank you Brandi for being true to your word! Gorgeous downtown Lake Mary! By Flippers Pizza... Look for Lavish Beauty and Brow signs and Awning!